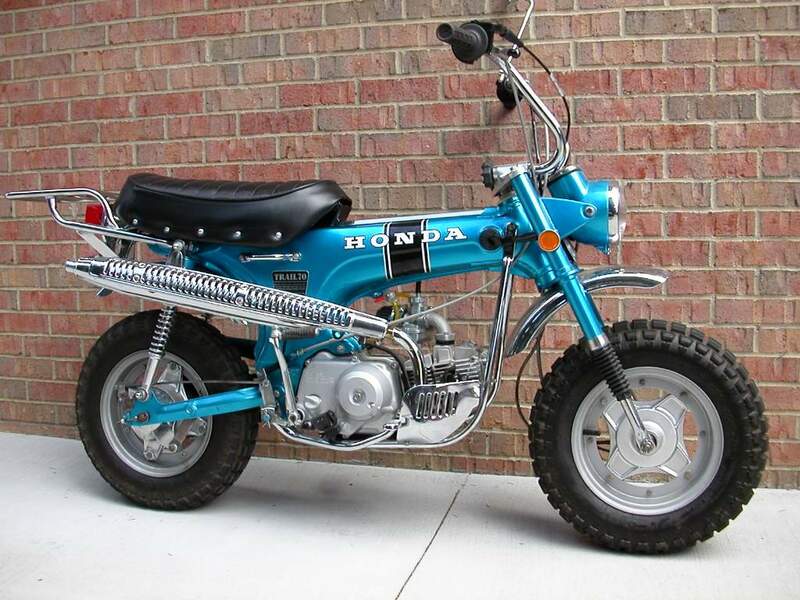 One day when I was riding through my subdivision test-riding one of the bikes I had just done, a guy slowed in his truck and rolled the window down and yelled out "hey, what year is that?". And so started another of the conversations that frequently happens when I'm out puttering around on one of my old bikes. Everybody seems like they either had one, or had a buddy who did, or the neighbor kid down the street, or whatever, and they all love looking at them and talking about them. Well, he had one, and said it just wasn't running right. We exchanged phone numbers and I ended up going over to his place a week or so later and picked up the bike to fix it up for him. 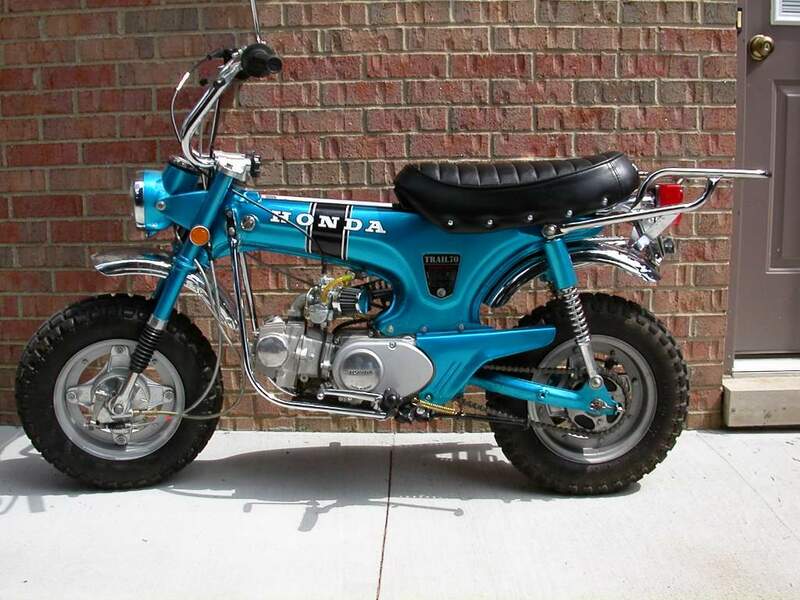 It was one he'd bought a few years ago from the internet, and later had had someone install an 88cc kit on it. I got it running at his place and it was clear the clutch was absolutely shot. And the real shame about it was that he had paid a lot of money for this bike from a guy in California, and he told me no, the clutch has always been like that. The carb was messed up and a few other things I could see right away as well. I got the bike home and it was very obvious that the guy who had done the bike for him knew how to paint (it is an absolutely beautiful paint job, as you can see), but he had very limited mechanical abilities, and knew absolutely nothing about CT70s! I won't go into the details, but this bike was a real mess. And the person who sold it to him bills himself as a Mini-Trail Expert. Uh, yeah...right. Everything was misassembled or misadjusted or worn out or whatever. I got 'er fixed up for the guy, and you should have seen the grin on his face when he rode it for the first time when it was working like it was SUPPOSED to work! Wow, what a feeling of satisfaction for me to know I helped the guy have that much fun on this bike. And he'd had it for 3 years and it had never been right. Anyway, here's a couple photos of it right before I gave it back to him. Nice looker, and now a nice RUNNER too! He lives pretty close by and I've stopped over at his place a couple times when riding my CT90s to chat. He's still enjoying the heck out of it.